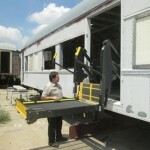 Updates on ADA Railcar renovations for West Michigan — now an Amazon Smiles Partner. 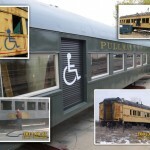 By selecting Western Michigan Society for Industrial Heritage and rounding up your purchase amount on Amazon.com, you will benefit the renovations for the ADA railcar and make historic railroading a possibility for those constrained to a wheelchair. Currently we are focused on re-assembling the interior components of our historic railcar, purchasing the wheelchair tie-down track & harnesses thanks to a donation from the Coopersville Community Foundation’s Greatest Needs Fund. We are also framing in the ceiling area and walls of the handicap restroom and about to place our purchase order for the water tank, holding tank and restroom fixtures. These are all made possible by a grant from the Meijer Foundation. 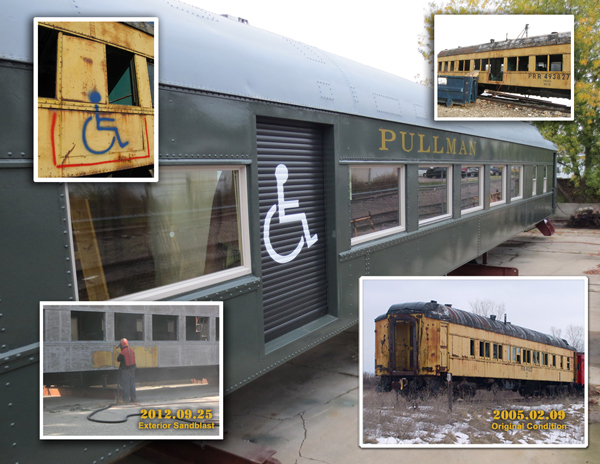 You can help the WMSIH organization in our mission to renovate a 1928 Pullman Heavyweight Sleeper to wheelchair accessibility and provide a wheelchair accessible recreational outlet in West Michigan. When you purchase items on Amazon Smile and round up your purchase, you can donate the extra change to our organization. Click on the link in the banner below to find out more information. At the end of 2014 the Society announced a $25,000 challenge grant to raise an additional $100,000. This will apply to the completion of renovations of our ADA Wheelchair Accessible Railcar project. 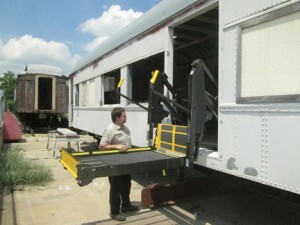 After the initial purchase, weather-proofing the exterior, fabricating a door opening, installing a roll up door and installing a lift donated by the Braun Corporation, we have identified $150,000 as the total required to finish the interior and put the ADA train car back on the rails. To date, we have receive matching grants totaling $67,000 towards the $100,000 challenge. We are targeting additional grant opportunities to complete the challenge. Matching donors include The Meijer Foundation, Ed & Nancy Hanenburg Fund and The Coopersville Area Community Foundation. Please thank them for contributing to make wheelchair accessible recreation a reality in West Michigan. Original 1929 Pullman seat cushions (right) will be re-upholstered with Steelcase/DesignTex fabrics as shown at left. The foundation of seat cushions constructed in 1929 are sound enough to be re-used in this ADA railcar renovation project. The board of directors were shown the first seats to be reupholstered with new materials. Material was specified by Clarity Design for its commercial flame retardant & wear qualities as well as being a product of a major donor. The fabric was sourced from DesignTex, a subsidiary of The Steelcase Corporation. The Steelcase Foundation is one of the current, top five donors to this project. Steelcase provided a $25,000 matching grant towards the renovation and utilization of the former Pullman railcar to handicap accessibility. 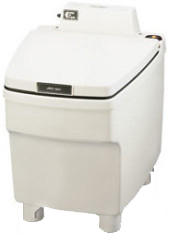 Seats and arm rests are of a washable vinyl material with the backs adding a visual appeal. A krypton coating helps to keep the backs maintenance-free as well. 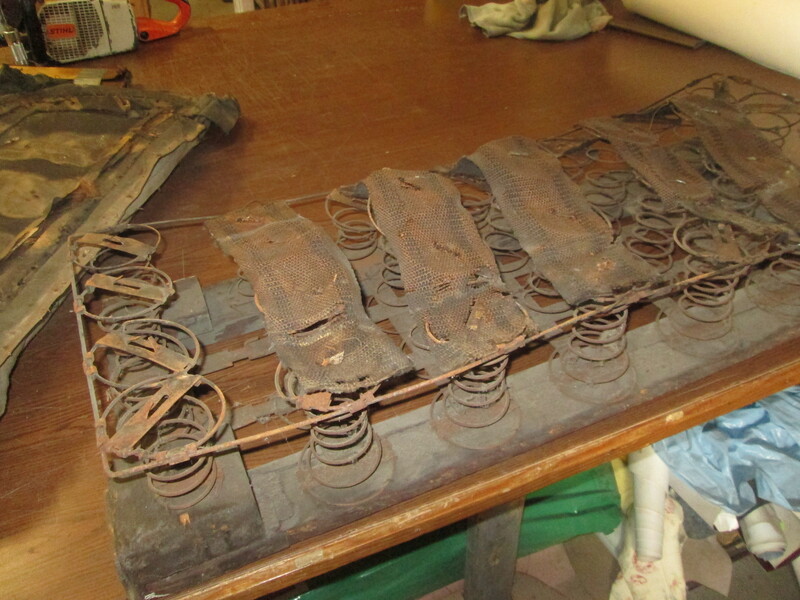 Original 1929 Pullman cushion frame & springs are sound enough to be reused. 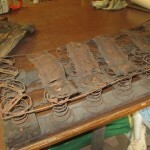 The original cushions were disassembled by Doc’s Upholstery of Marne, Michigan. John Doctor then replaced the cushion material and fitted the new fabric to the original 1929 frames. All of the materials to re-upholster the five seating berths have been ordered, paid and delivered. Additional fundraising will pay for the labor to complete the re-upholstery. The Pullman Company provided cross-country travel/sleeping accommodations for over 39 million Americans in the 1900s. 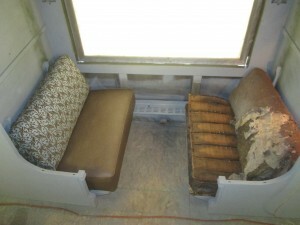 The original seats in this 10-1-1 Pullman Sleeper were designed to fold flat with a mattress overlay for sleeping accomodations. Heavy curtains then provided privacy and sound deadening for overnight rest. Convertible sleeping sections soon grew out of favor when private compartments became preferable to riders. 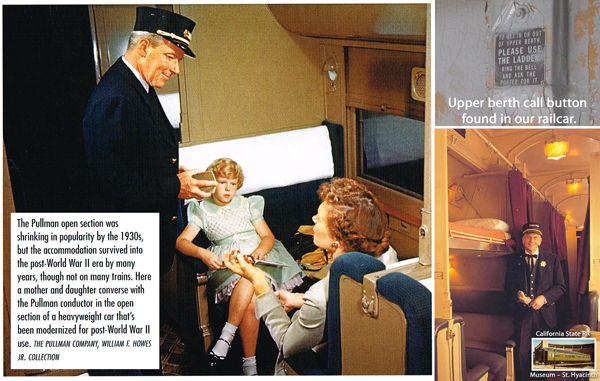 For a period, the convertible seats and overhead bunks continued to be used inside the compartments and drawing rooms. Porters working on the sleepers would change the seats to sleeping orientation. Upper bunks were supplied with call buttons to have porters bring a ladder for ingress and egress as needed. 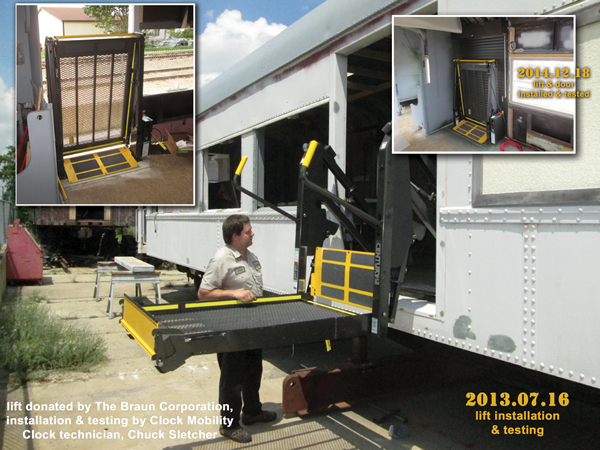 July 2013 – Clock Conversions technician, Chuck Sletcher, tests installation of the donated Braun Corporation lift. Once this ADA railcar project is completed, five of the original sections will have been renovated to original operating condition for use and for historical education purposes. 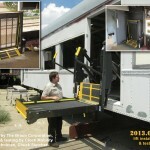 The ADA railcar will be able to accommodate up to 10 wheelchairs with an onboard lift for loading and unloading. The ADA Train Car status was reported to the Board of Directors at their Dec. 2013 board meeting. The progress of the AllAboard! ADA Train Car Project from it’s initial state is impressive. However, due to unforeseen obstacles and additional expenses, the project is a ways from completion. We will have to do additional fundraising. December 2013 shows final Pullman paint color and window installation completed. 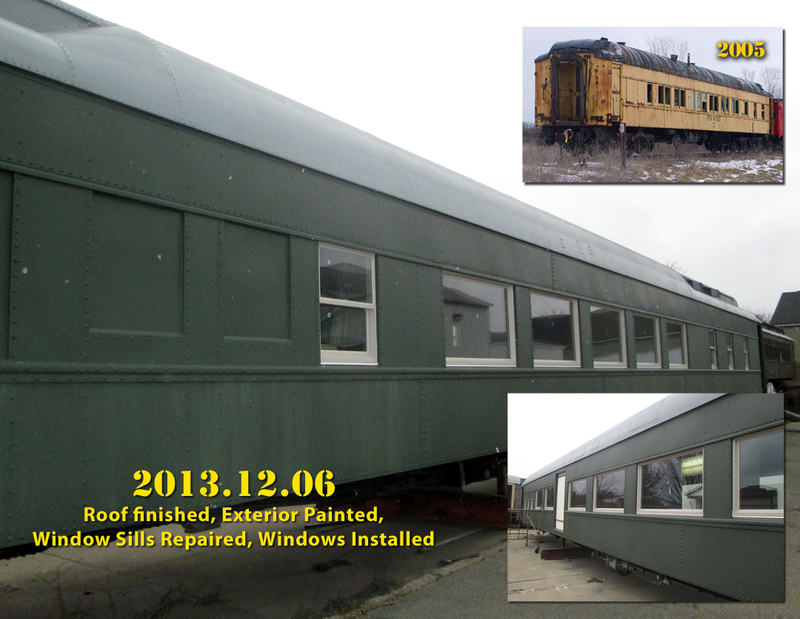 The ADA Railcar is now sporting a final, Pullman Green overcoat, windows have been installed, the roof was completely patched, primed, sealed & painted and the unexpected & un-budgeted complete re-build of the interior floor has been completed to a solid subfloor state. As reported earlier, the lift doorway has been fabricated, a roll-up door installed and Braun Corporation wheelchair lift installed and tested. The windows were installed and will be professionally caulked in the spring of 2014. With the final coat of paint applied, the exterior will be completely weather tight. A compilation of contractor bids is being assembled for finalization of the interior including final flooring, wheel chair tie-down tracks (45 ft), insulation, hvac, electrical, sound/av, interior finishing, ADA restroom fabrication, paint and upholstery. Vestibule repairs need to be made (stairways have been completely re-fabricated but need sandblasting & paint), under carriage undercoating and brake & wheelset inspection & repair. A complete list of contractor estimates will be available at the mid-summer board meeting but we are looking at an additional $90-$130,000 in additional fundraising to be required for completion. Our consultant from the Cuyahoga Railway has reviewed our current status and is impressed that we completed as much as we did with the money we had available. 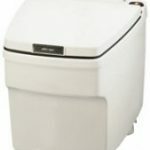 Much of the time and expense expended on the project to-date has been designed to minimize maintenance and/or eliminate problems that we encountered up to this point. We look forward to completing the project as soon as additional funds become available. Please stay tuned and notify us of any foundations, corporations and or donors who may be willing to contribute to put this project back on the rails.